International competition and showcase for independent music videos. Competition open to all singers, bands and directors. Music videos will be judged by producers, directors and agents. No restrictions on previous screenings or completion year! 2019 Standard Submissions are OPEN. Download registration form here: Music Video Registration Form: and mail form and 2 playable DVDs (NTSC Region 1 or 0) of Music Video to The Indie Gathering and pay by PayPal, Check or Money Order. 1st-4th place winners in each genre, as well as honorable mentions. Best Overall Music Video Award. Awards to attending winners include trophies, plaques and certificates. Non-attending winners will be e-mailed a certificate after the event. PLEASE READ ALL RULES BEFORE SUBMITTING! When submitting your project, you must provide your genre selection (through the registration form, or by e-mailing us at Kristina@WorldEOnline.com if submitting online). This must be received to ensure your submission goes into the proper judging category. Please include your project name in the e-mail. Filmmakers, please also note if your film is a student project. Please note that we may, in our own discretion, move your project into a different genre if we feel it is a better fit for that genre. This does not happen often, but we want to ensure your project is in the right category. However, we still need your selected genre e-mailed to us. Please select only ONE genre. Films in any language other than English MUST be subtitled. There are NO restrictions as to when your film or script was completed or where it has been released. Anyone may enter the competition. All entries must receive an average score of 90 or above in the judging process to qualify for award placement. Filmmakers - Please check both copies of your DVD or Blu-Ray before mailing to make sure they play. Each DVD or Blu-Ray should have your film title and total run time. It is recommended that you check your discs on more than one DVD player (computers don't count) to ensure they play, as this is a common issue with submissions. We do NOT accept files, file discs, or any other format - NO EXCEPTIONS. 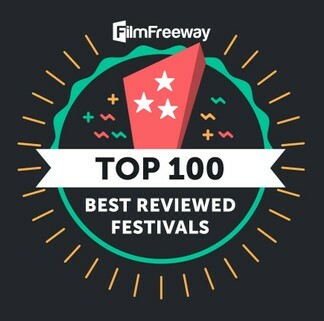 IF YOU SUBMIT VIA AN ONLINE SUBMISSION PLATFORM AND YOUR FILM IS SELECTED TO SCREEN, YOU WILL BE REQUIRED TO SEND A HARD COPY (DVD / BLU-RAY) OF YOUR FILM FOR SCREENING. ANY SELECTED FILM NOT RECEIVED BY A GIVEN DEADLINE WILL BE REPLACED IN THE LINEUP - NO EXCEPTIONS. All submissions - whether accepted or not - come with ONE complimentary 4-day event pass to the festival. Any additional passes must be purchased in advance or at the door.